Today is the day of the abduction of Zelim Bakayev 08.08.2018. Exactly one year ago he was kidnapped in Chechnya. 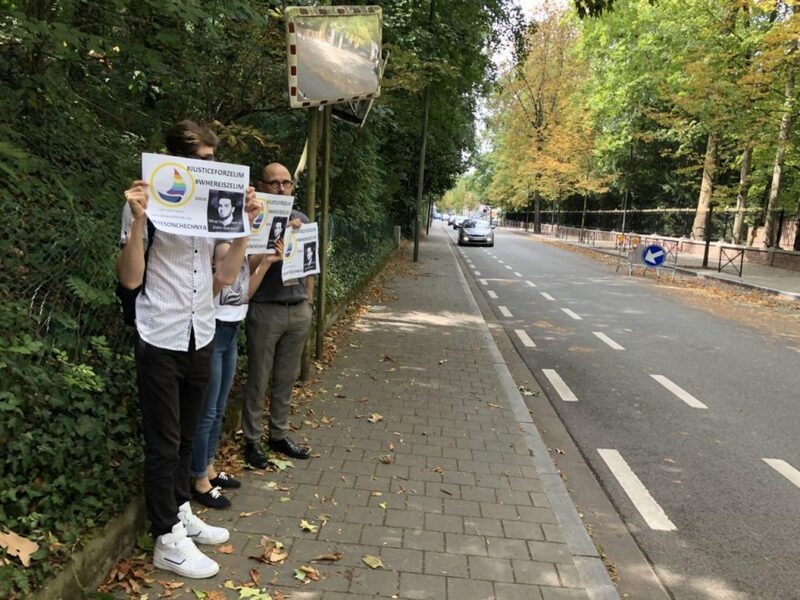 We held a rally near the Embassy of Russia (66 Avenue De Fré, 1180 Uccle). We invited a lot of people, but only three people could come to the embassy and Piet De Bruyn. The rest are afraid. They have a fear of preserving their family, which lives in Russia. The issue of LGBT Chechens remains open, many continue to be tortured and killed. 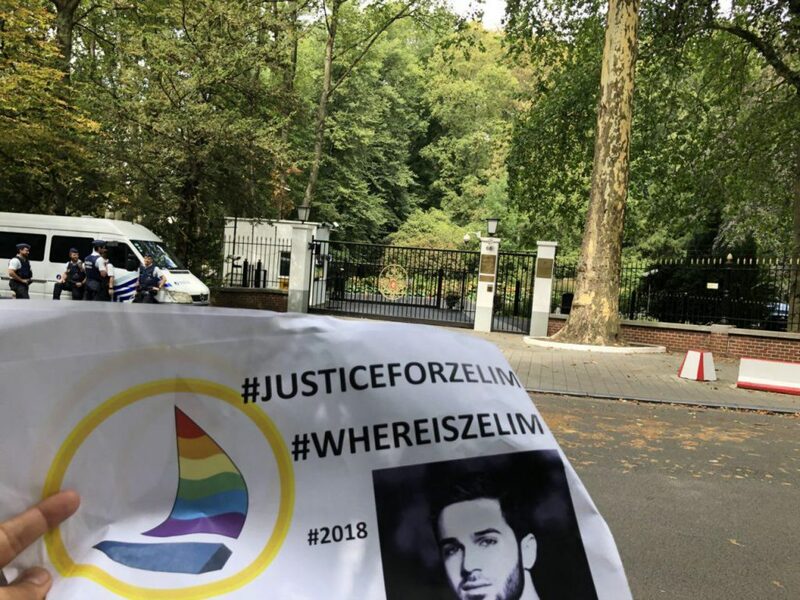 By our rally, we demand an open investigation into the abduction of Zelim Bakaev and kidnapping of other people in Chechnya and Russia. We demand the resolution of an international independent investigation by an international human rights organization. We do not forget and see what is happening in Chechnya. 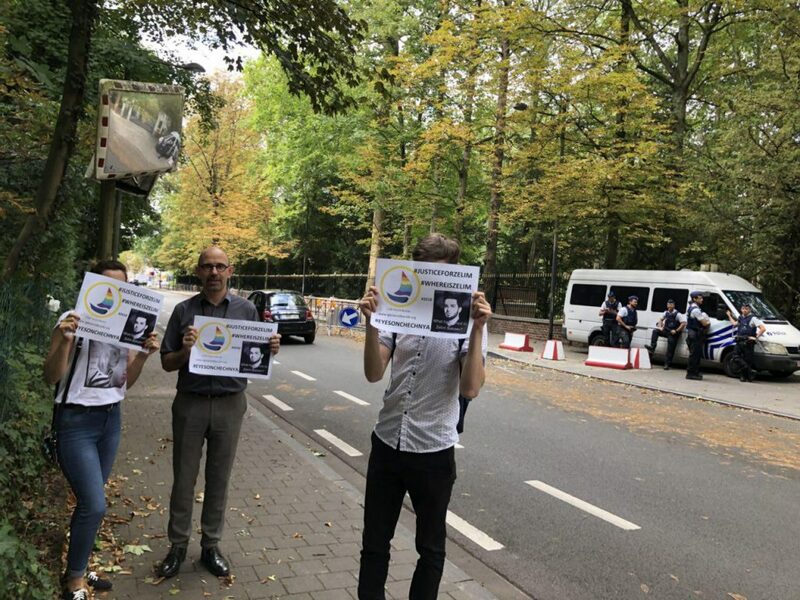 The embassy of Russia is ashamed for the disappearance of Zelim Bakaev. We were not allowed to approach the fence of the Russian Embassy. 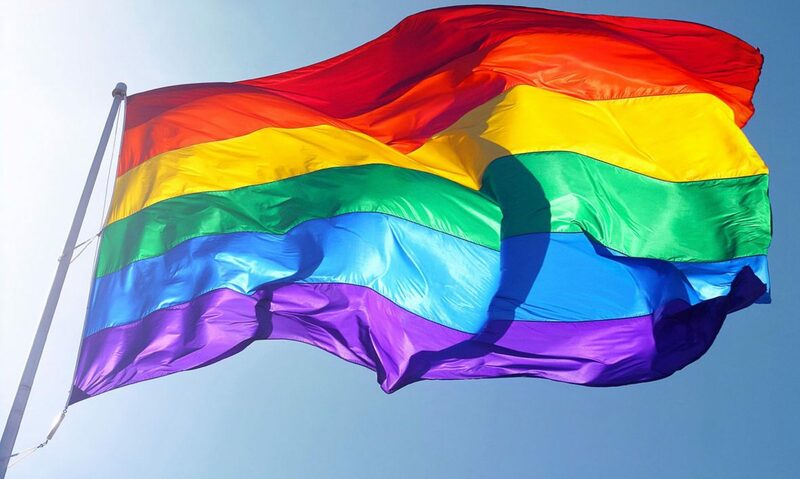 The Russian authorities are afraid that the whole world will learn the truth about the ill-treatment of LGBT people throughout Russia. 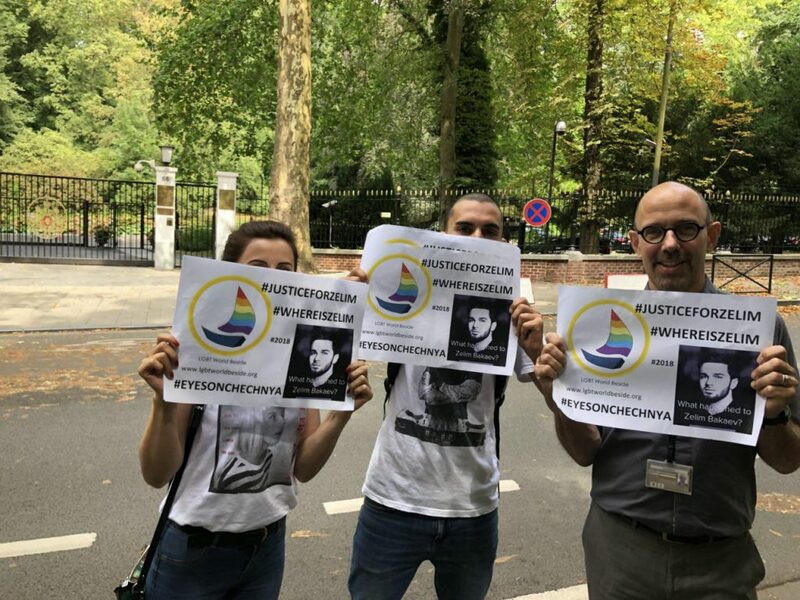 We want to thank honest and strong people, all those who support the first “LGBT World Beside” organization for working with LGBT refugees from Chechnya and Russia: the police of Belgium, Piet De Bruyn, Voices4 and RUSALGBT. Thank you for the opportunity to spend a day of memory on different continents. Together we will succeed. Previous PostPrevious Gay Parade in Amsterdam 2018. Next PostNext Gay Parade in Antwerp, Belgium 2018!